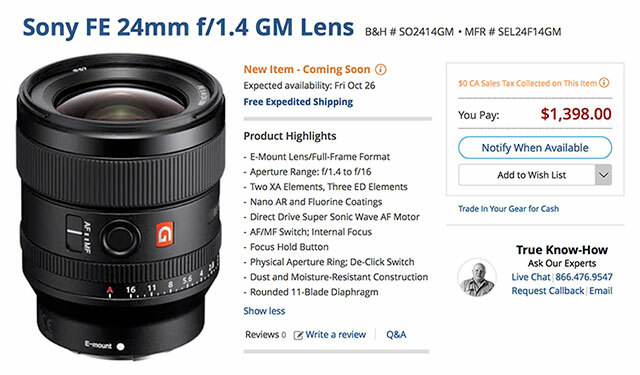 Sony FE 24mm F1.4 GM Lens Available for Pre-Order Now! 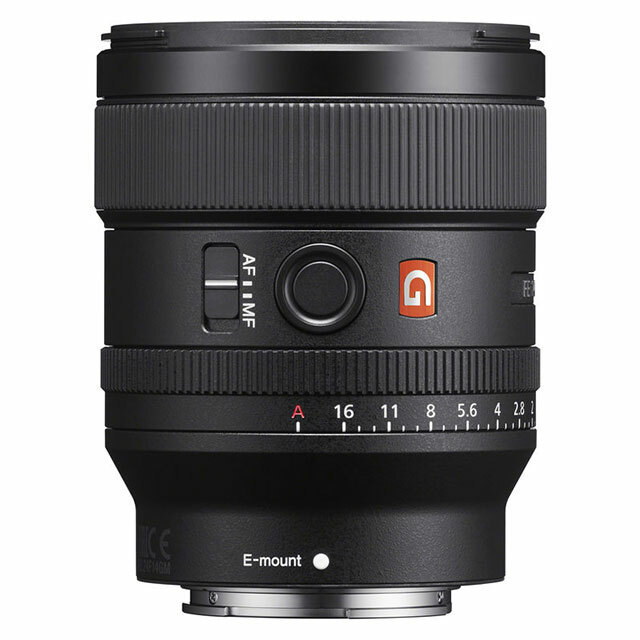 This fast wide-angle lens is well-suited to photojournalism, astro and street photography. Its wide perspective is complemented by the f/1.4 maximum aperture, which excels in low-light conditions and also offers increased control over depth of field. 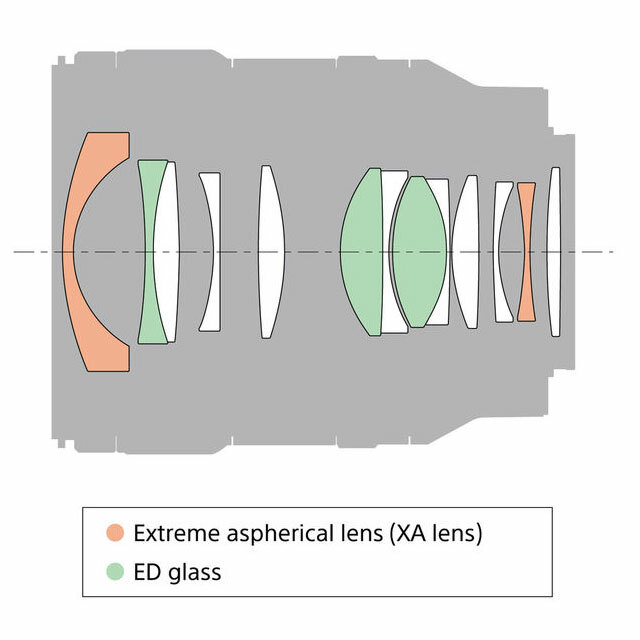 The optical design incorporates three extra-low dispersion elements to reduce chromatic aberrations and two XA (extreme aspherical) elements, which significantly control spherical aberrations for a high degree of image sharpness and clarity. Additionally, a Nano AR coating has been applied to limit ghosting and lens flare for increased contrast and color fidelity when working in strong lighting conditions. Direct Drive SSM (Super Sonic wave Motor) is quick and quiet, along with responsive manual focus. 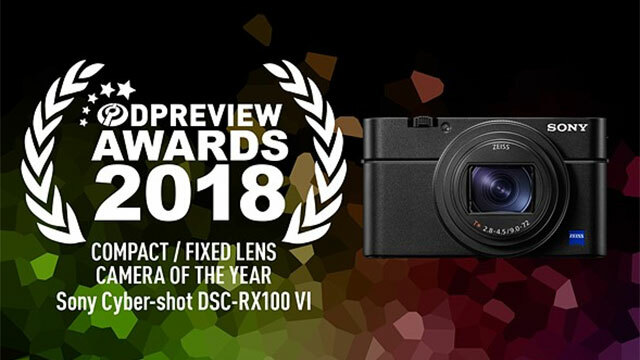 The lens also sports a dust- and moisture-sealed design and fluorine-coated front lens element to support shooting in inclement conditions and a dedicated focus hold button, AF/MF switch, and manual aperture ring lend further control while shooting. 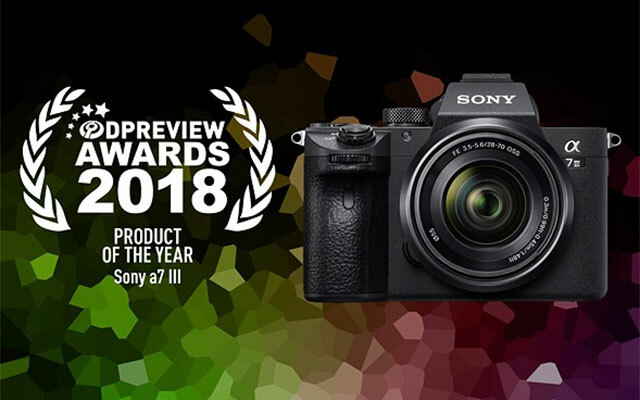 Sony announces the Sony FE 24mm f/1.4 GM Lens ($1,398 from B&H Photo | Amazon) – measuring just 3.0 inches x 3.64 inches and weighing 15.7 ounces making it the lightest in its class. This is a departure from previous GM lenses, which tend to be large in order not to sacrifice optical performance. Yet this lens manages to minimize size and weight without sacrificing optical performance. It features the de-clickable aperture ring design of the FE 35mm F1.4 ZA, FE 50mm f/1.4 ZA, FE 85mm F1.4 GM	& FE 100mm F2.8 STF GM lenses. 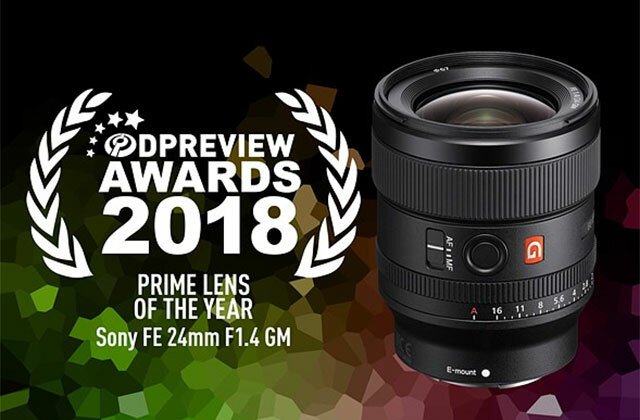 Expertly engineered to deliver best in class performance across all aperture settings, the new FE 24mm F1.4 GM (model SEL24F14GM) utilizes Sony’s most advanced optical technologies to satisfy the needs of the most demanding photographers. The new lens is the most compact and lightweight in its class[i], measuring approx. 3.0 inches x 3.64 inches and weighing only 15.7 ounces, with a filter diameter of 67mm. 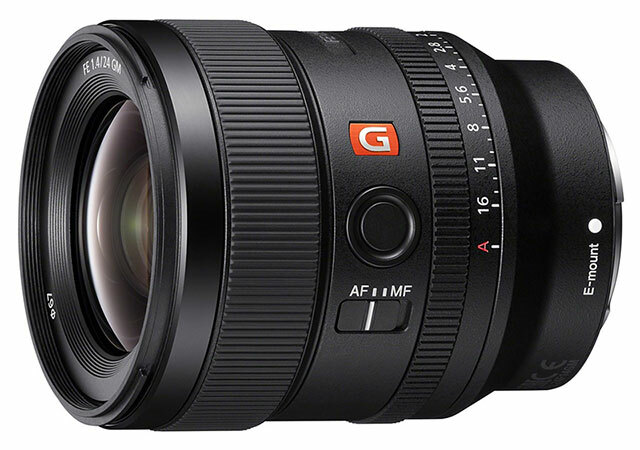 Built to meet the strict standards of Sony’s flagship G Master series, the FE 24mm F1.4 GM offers exceptionally high resolution and beautiful bokeh, two qualities that are signature attributes of the G Master brand.